Former Yale University soccer coach Rudolph “Rudy” Meredith, was expected to enter a guily plea Thursday to fraud-related charges on allegations that he solicited nearly $1 million in bribes from eager parents willing to pay their children’s way into the elite university. Adding literal meaning to the phrase “pay to play,” the former women’s soccer coach has agreed to plead guilty to federal charges brought against him and at least 49 other people nationwide. Meredith is one of many faculty and staff members involved in a nationwide investigation cracking down on prestigious education institutions accepting bribes for student admissions. As part of his deal, Meredith, 51, has been ordered by the government to forfeit more than $865,000, according to a court documents obtained by USA Today. 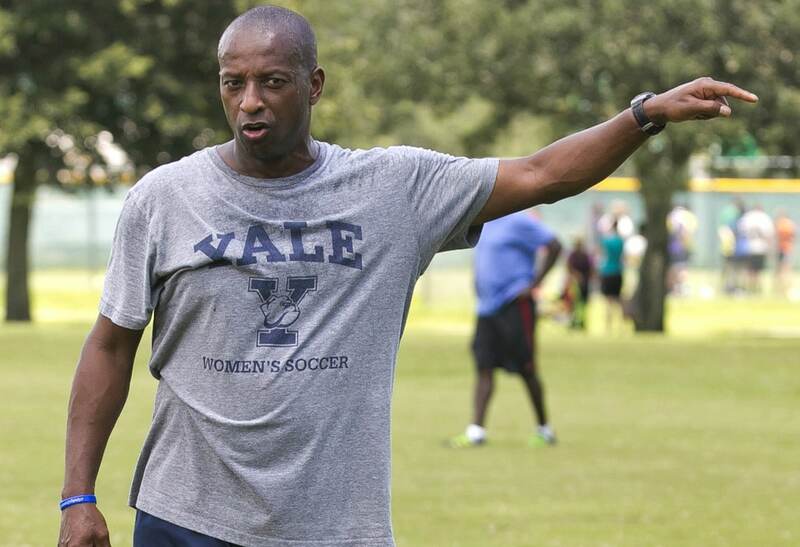 After nearly 24 years of coaching, Meredith resigned as the head women’s soccer coach of Yale back in November of last year, stating that it was “time to explore new possibilities and begin a different chapter,” in his life, according to a statement released to the newspaper. Yale Athletic Director Victoria Chun even applauded the veteran coach for his years of dedication and leadership. “I have admired Rudy’s successes and I am grateful for all he has contributed. I wish nothing but continued success for Rudy and his family, Chun said in a statement. According to Federal prosecutors, back in November 2017, Meredith accepted an “athletic profile” for an applicant’s credentials that falsely described the woman applicant as co-captain of a prominent soccer club in Southern California. Meredith allegedly used the profile to leverage the student onto the Yale’s women’s soccer team, while also gaining her acceptance into the university. Later, the FBI secretly recorded Meredith in a Boston hotel room where he allegedly agreed to unlawfully aid in the admission of another young woman, in exchange for $450,000. According to the indictment obtained by USA Today, Rick Singer, the alleged mastermind of the scheme, sent Meredith a check of $400,000 around Jan. 1, 2018. The financial arrangement was part of an FBI sting operation after a financial executive wanting leniency in a securities case tipped federal authorities that Meredith sought a bribe to get his daughter into Yale. Meredith ultimately cooperated with the FBI to receive leniency as well. The school has said it believes Meredith gave “fraudulent athletic endorsements” for only two applicants. Yale President Peter Salovey released a statement on the university’s site regarding the matter, while defending the moral of the remaining players on the team. “With the exception of the single student who was fraudulently admitted, we have determined that all enrolled Yale students who were admitted with an athletic endorsement played at least one season on their varsity sports team,” he said. The school rescinded the admission of the student who was admitted into the school, he said. The other was denied admission despite Meredith’s endorsement.